Ar.66C Unit: NSGr.12 Serial: 6A+TL In 1943 Arado 66C served with special night strike unit Nahaufklaerungsgruppe 12 in Pribaltika (partially with Latvian volunteer pilots). This profile shows typical camouflage of these planes - white from above and black on bottom, including chassis and mid-wing supports. Unit code letters (6A) and individual plane code (TL) were black with white hand-painted outlines. Yellow band means plane serving on East front. Simplified insignia painted only on top wings. In difference from trainers, strike Ar.66C had longer exhaust pipes, bomb racks and sometimes photo-camera pod installed. Walter Rethel's last completed design for Arado before his transfer to Messerschmitt was the Arado Ar 66, a two-seat single-bay biplane trainer of mixed construction. The tailplane was mounted on a raised rear fuselage fairing, ahead of the vertical tail surface which comprised a wholly movable rudder, there being no fin. The first prototype, the Ar 66a of 1932, was powered by a 240-hp (179-kW) Argus As l0C inline engine. The second prototype, designated Ar 66b, was generally similar except that it had twin wooden floats, the rudder being extended beyond the bottom of the sternpost and faired into the rear fuselage by the addition of a ventral fin. Ten production Ar 66b aircraft were built subsequently. When Rethel left to join Bayerische Flugzeugwerke, as the Messerschmitt company was then named, Dipl. Ing. Walter Blume assumed responsibility for development of the Ar 66a, which entered series production as the Ar 66c, initial deliveries being made to the Luftwaffe in 1933. 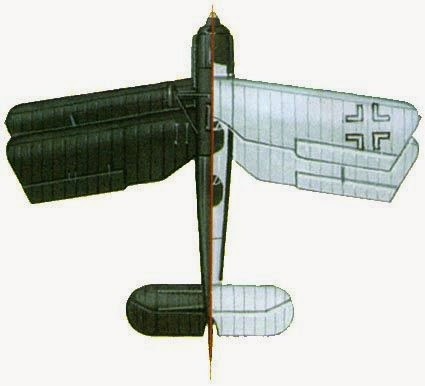 The Ar 66c continued to serve with Luftwaffe training schools after the outbreak of World War II, and as late as 1943 it was pressed into service, together with the Gotha Go 145 trainer, to equip the night ground-attack Storkungkampfstaffeln on the Eastern Front, armed with 4- and 9-lb (1.8 and 4-kg) anti-personnel bombs. Used in the new Luftwaffe as a trainer. Modified elevators, larger rudder, and larger-diameter wheels. Seaplane version of Ar 66C. Two large steel hollow floats braced with iron cable. About 10 were constructed and used for seaplane training.